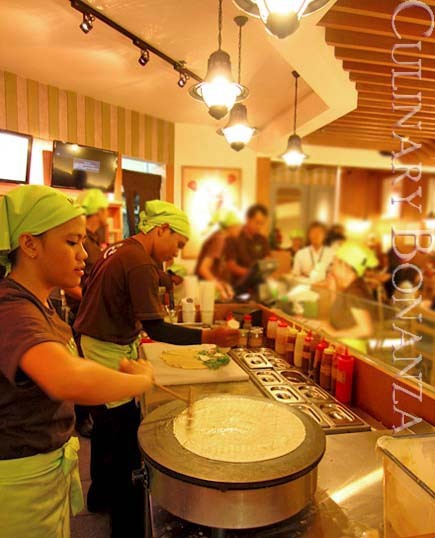 Good news to all of us, because Japan's most popular crêperie has finally launched in Jakarta. For those who have been to, or have spent some time living in Japan, Momi & Toys Crêperie should ring a bell. With a total of 80 outlets in Japan alone, 3 in Shanghai and 6 in Taipei, this makes the newly-opened Jakarta-outlet, the first expansion in the South East Asia. 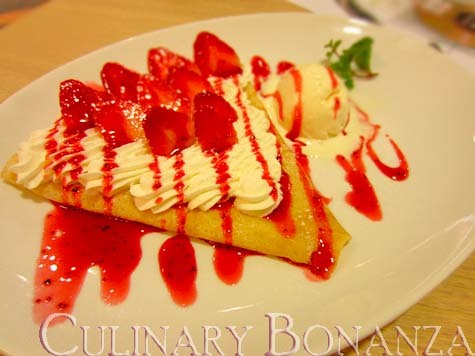 There are many versions of crêpes, such as crispy, soft, sweet, savoury, etc, but M&T Crêperie specializes in serving torokeru crêpes, a 'species' of crêpes that tastes creamy and so soft, it melts in your mouth. 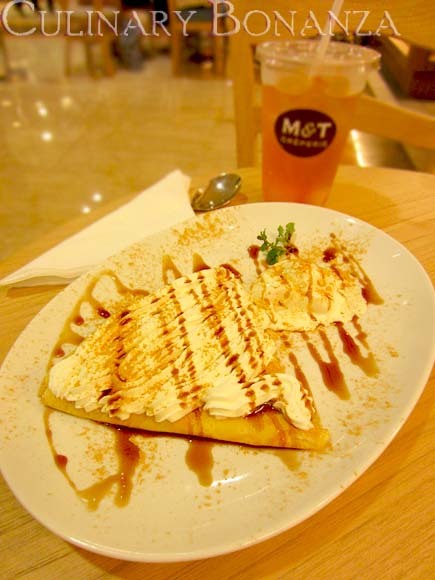 I had the privilege of experiencing the superb melting texture of M&T crêpes on its soft opening launch at its first outlet in Indonesia at Plaza Senayan. I would shamelessly concede that one piece of M&T crêpes is not enough, because it tastes so light and rich, you can easily have 2nd or 3rd helping. But oh well, once you're here, might as well forget about diet momentarily and indulge in this novel treat. Although the toppings are quite standard in general, there are 2 eye-catching flavours with Japanese influence: the Kuromitsu Kinako Cream and Matcha Cream. Also, lookout for the rice-filled crêpes too, which were unfortunately not available during my visit because of the limited serving. 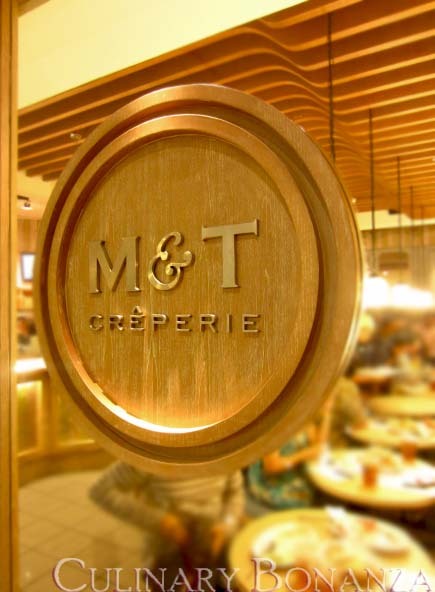 One final note, as a cult dessert lover, I would really hope to see M&T expand their toppings selections with more Japanese-influenced flavours. If I see Yuzu Orange, Kyoho Grape, Japanese Plum or even Edamame or Wasabi on the menu, I will definitely be tempted to try those and come back for more, because it will be so unique and so far, I can't find it anywhere in Jakarta yet. 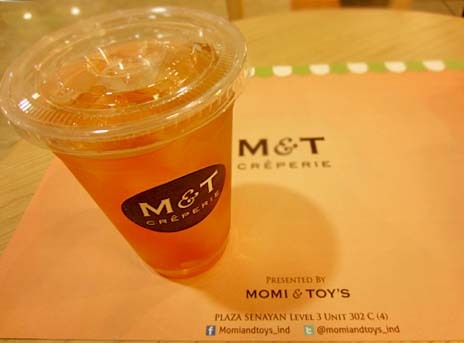 All the best for Momi & Toys Crêperie, hope you will achieve your goal of opening more outlets all over the country!